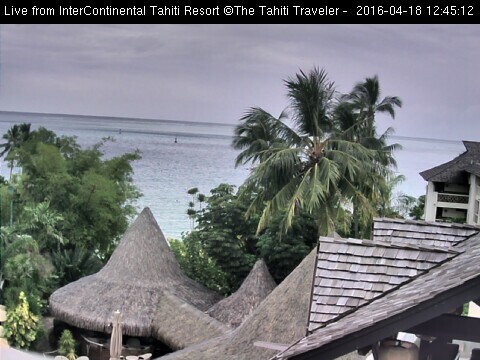 This webcam is located at the reception of the InterContinental Tahiti Resort. 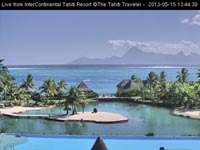 It shows every 30 seconds an image with the main swimming pool of the hotel, the lagonarium, the overwater bungalows and in the background the island of Moorea located a few miles away from Tahiti. If you’re looking to see the weather in Tahiti and Moorea or want to check the resort for planning a Tahiti vacation, the images are updated 7 days a week and 24 hours a day.